If you’ve stopped by the BJJBrick Facebook page you may know I like to post an inspirational quote a couple times a week. I usually leave a few lines sharing how the quote relates to jiu jitsu from my perspective. Recently I posted the following ancient proverb: “If you chase two rabbits you will catch neither”. I was busy so I didn’t elaborate. Immediately one of our listeners responded “I don’t think this relates to jiu jitsu at all”. I don’t think we had a difference of opinion, we were just looking the quote through different lenses. I was considering the technique of the month club students who are always chasing the latest technique that went viral on youtube and has no focus to their training. Our friend was considering grapplers who chase only one move at a time as opposed to creating options. He summed up his thoughts this way “the easiest way to catch a rabbit would be to put 3-4 in a small pen and then go for the easiest one”. When trying to escape one of those rabbits will be slower or make a mistake or freeze and bam there’s the one you catch. 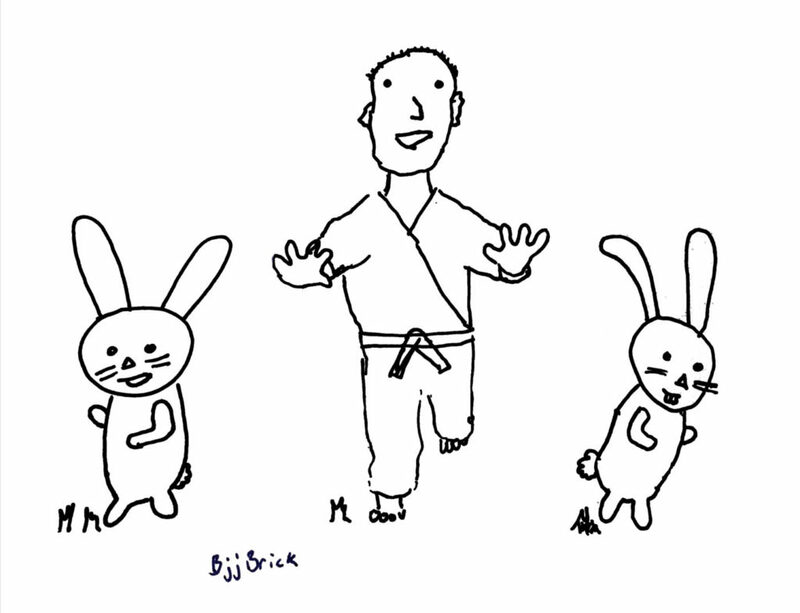 As it relates to jiu jitsu: what does it actually look like to put 3 or 4 rabbits in a small pen and see which ones easiest to catch? I could start a match on my feet with the idea that “I’m going to take him down and pass guard, or I’m going to pull and submit from closed guard, or I’m going to throw a flying arm bar up”. Those three options might represent “three rabbits”, but that’s not a very small pen. If I pull, secure closed guard, and then look at three options from that position, that’s better. But even from closed guard it’s a pretty big pen. But what if, from closed guard, I sit up and connect to my opponent with my left arm over his left shoulder isolating and dominating his left arm for a kimura set up? Now, I’ve got the kimura available as well as the sit-up/hip bump sweep and a left-handed guillotine. How he reacts will determine which one of those “rabbits” is easiest to catch. In conclusion: Thanks Chris. This is a great concept for all grapplers to spend some time thinking about. Having multiple attacks from a single position where you are not required to change a lot of things makes it easy to seamlessly transition from one of those attacks to another. Do this enough and you will eventually get a step ahead succeed with one of those attacks. Train hard. Train smart. Get better. Happy hunting. This entry was posted in Article by byronjabara. Bookmark the permalink.